In today’s tutorial, we’ll discuss how to make cross-section visualization in Sketchup using Vray Clipper. 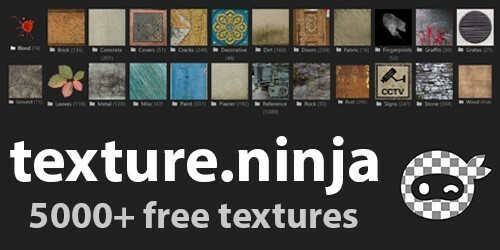 This is a new feature available from Vray 3.0 and above. 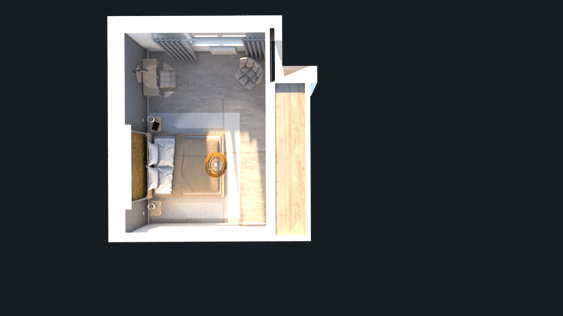 It is particularly useful for architects who are struggling with the problem of a small room that does not allow the entire interior to be shown in the frame. Probably for each of us to make a nice visualization once disturbed the walls. In the older version, unfortunately, the cross-section of the model caused that the walls hidden in the cross-section were not counted in the rendering process. This happened with the situation in which the visualization was created, it looked like it was missing a wall. The light spilled into the interior fell into the entire length of the cross-sectional plane. Simply Sketchup rendered as if the model did not exist on the wall. This effect probably does not satisfy anyone, the lights and shadows in the interior are unnatural and flatten the visualization. The creators of the latest version of Vray responded to this problem by creating a tool called Vray Clipper. 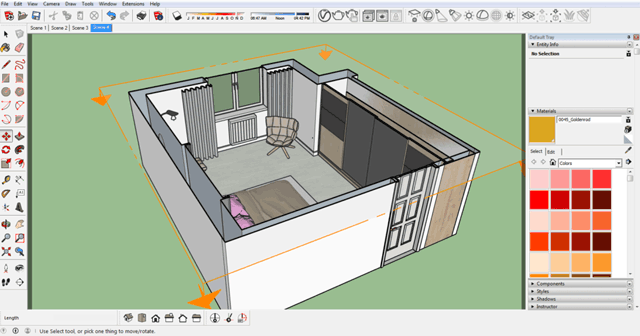 How to create a visualization of a room section in Sketchup? 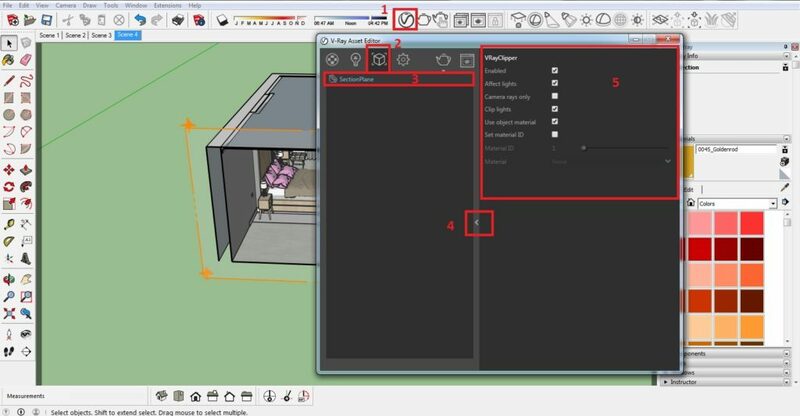 Let’s first create a cross-section using the standard tool that Sketchup gives us, which we described in the guide – Sketchup – How to make a cross-section? We create a cross-section (from above or from the side), for the purpose of this tutorial a render of a room projection will be shown. 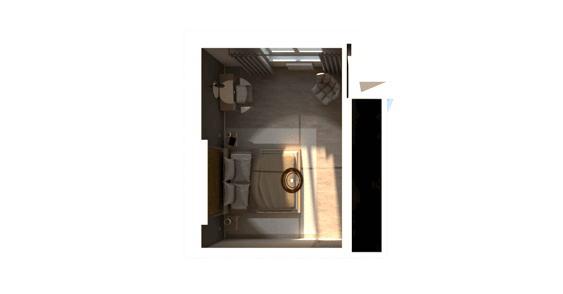 The cross-section of the room should be made so that it will not cut off objects in the scene, as the rendered image will contain cut elements. Let’s do a render here. We should have an image exactly as we see our model. That is, without a roof, illuminated by sunlight on the entire plane of the cross-section. You can notice in this visualization that the light falls clearly from above and illuminates our bedrooms. We do not want this effect. How to make a section using the Vray Clipper? 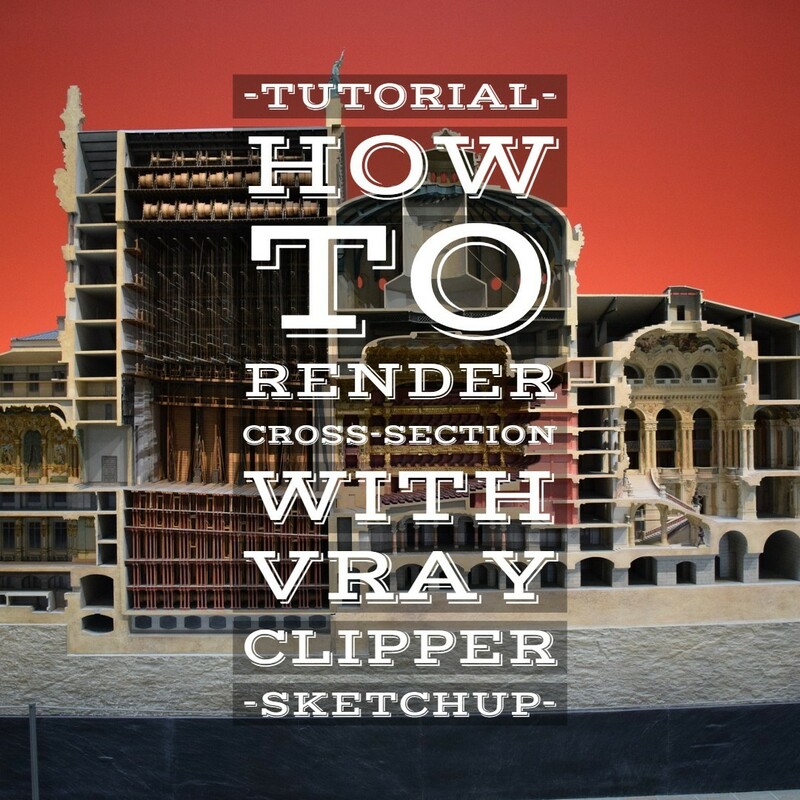 Now, make a cross-section using the Vray Clipper tool and see what will be different. To render the interior in the V-ray Clipper panel with the light we set in the interior, mark “Camera rays only” and turn off “Affect lights”. After making these changes, we notice a significant difference. The resulting render will count the whole picture, the plane of the section will become something on the principle of a plane through which one can look, but sunlight does not pass through it. Vray Clipper is ideally suited to situations when we have a very small room and we want to render it without having to delete walls.